Hi everyone! please accept my apologies for the lack of announcement from us about Dugi Guides update for Battle for Azeroth. We have been extremely busy with updating the addon and creating the new level 110-120 leveling guides for the new expansion. The good news is that we’re on track on completing both BFA Horde and Alliance leveling guide in time for the expansion release on August 14th. We will make sure you are updated and ready with the new 110-120 leveling guides a few of days before BFA release. IMPORTANT! (EU Players only) Dugi Guide addon will not work EU servers on July 17. EU players will need to wait until July 18th to update. Disable automatic updates if you use the Dugi Installer. Since the EU server is one day behind, the new version of Dugi Guides will not work with the EU servers until it is updated to patch 8.0 and unfortunately we are currently not able to offer older versions of Dugi for Dugi due to changes to the paid guides. In the pre-expansion patch, all players will be able to experience the Burning of Teldrassil storyline, known in-game as the War of the Thorns. This event will be split up among several weeks. 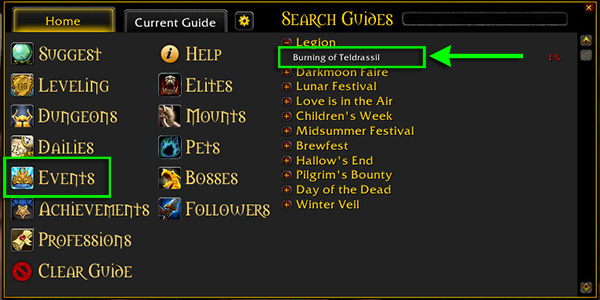 Burning of Teldrassil event guide will be available on July 17th and I highly recommend you complete it for the mount reward as it might NOT be available after BFA is released. 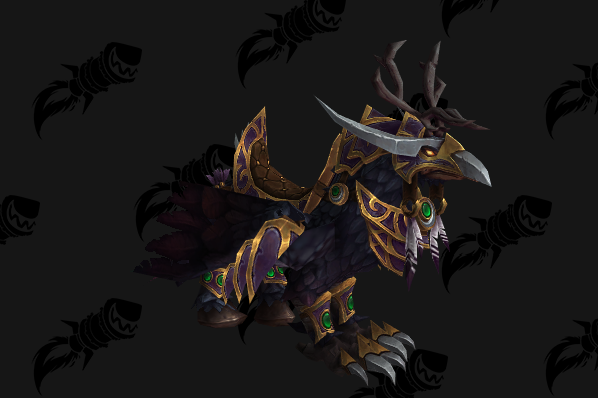 The event will also award each faction with one mount: War-Torn Reins of the Undercity Plaguebat and Smoldering Reins of the Teldrassil Hippogryph. More information on patch 8.0 changes can be found here. 43 replies to "IMPORTANT! 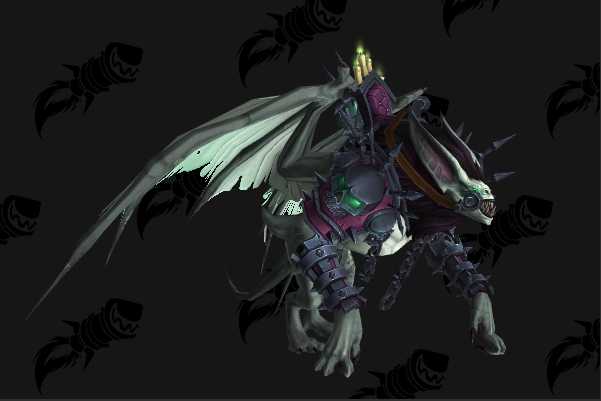 Pre-Expansion Patch 8.0 Update"
Will there be updates for the other quests in the Questlines for the pre quest for Bfa? Like battle for Lordoron and so forth? Hello will the 110-120 guide suggest going back to the major hub to do the war stuff at appropriate levels? also will it ensure that the 3 major factions get up to honoured to unlock WQ’s? When I try to do the Burning of Teldrassil event and I go to Stormwind, Anduin just sits there without a ! above his head. I can’t see the guide on mine, am I missing anything? the addon loads up to 95% and then hangs there, do not see anything in the questing window or any other window but for the settings, deleted all other dugi apps and reinstalled the viewer with the correct updater and the issue still persist, so what should I do now?? For those who can’t get the guides to load after the 8.0 patch, DISABLE TOMTOM. Dugi Guide does not work with my wow since July 18. Can you fix it? Bonjour pourquoi la flèche de suivis du guide et Dugi zone map ne fonctionne plus.